Recently settled in Austin, Texas after wandering the shores of god’s great earth, scooping up inspiration from the places and faces he encountered on his travels, American-Singaporean rocker Ras Xix has put out an art/prog rock masterpiece that has critics scrambling for superlatives. 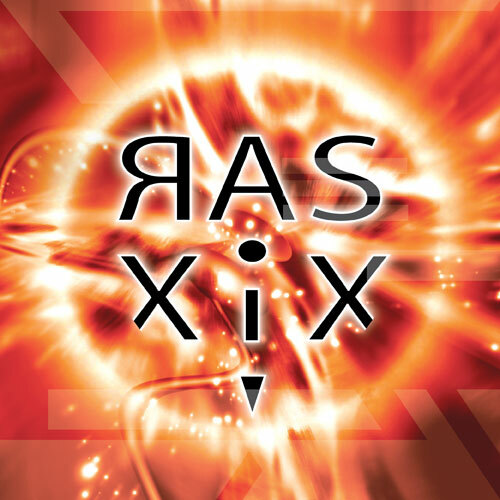 Alt-rock might never have been on a journey quite like the one Ras Xix has taken it on. While alt is undoubtedly the foundation of the Ras Xix album, the project slaloms through genres with the agility of an Olympic skier. 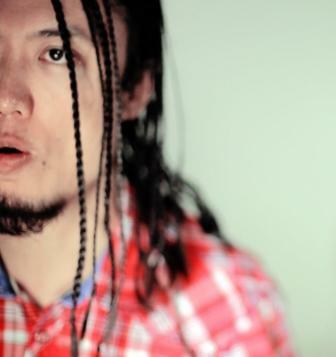 Ras Xix is a singer, he’s also a songwriter and he’s a producer. He also plays a daunting list of instruments, and he performs all these roles mostly by himself on his self-titled debut album. Is the one-man producer-singer-songwriter gig a guarantee to a monotonous, muddled final product? You need to take a close listen to Ras Xix before you render judgment. For every last coin in my piggy-bank, this project will alter your views on DIY projects; few have such an organic, lyrically rich feel or boast such deft musicianship. Lifting off to the sound effects of a climbing airplane is the grungy “Weightless With You”. It won’t take you long to come to terms with Xix’s beautifully cultured singing which stretches from a creamy falsetto to a coaxing tenor. Far from a stuttering debutant, Ras wields his vocals with the mastery of a grizzled rock god. The next cut begins with Ras showcasing his artistry on the acoustic guitar. His soft crooning then lulls you into a place where clouds float past you and gravity doesn’t exist. “Nora 5″s languid pace allows you to savor the colorful imagery of Ras’s penmanship. Wobbling electric guitars and gritty bass momentarily tear you out of your cloudy perch and Xix’s voice grows into a petrified shriek as “Over” asserts itself. Things go all acoustic again as “Simulacrum” chimes its way past your eardrums, its gentle bass almost a heartbeat. Electronic elements introduce themselves to your conscious as the track ends and as the following number, “Consent,” takes over. Flaring cymbals and harmonized guitar chugs quickly ensue and Xix casts all restraint from his voice as the track hurtles to an adrenaline-fueled conclusion. The message of rebellion against manipulation by the powers that be could not have been brought home more forcefully. Respite, if you needed it, is offered in “If It’s Gone”, which swings the pendulum back to the acoustic side of the Ras Xix dichotomy. It sets the pace for a double salvo of acoustic helpings, the second of which is the R&B/pop-leaning “Las Arenas de Cartagena”. This radio-ready ditty owes its origins to a postcard-pretty colonial city on the Caribbean shores of northern Colombia and is suffused with flamenco rhythms. Next you will be ushered into one of my favorites, the socially conscious “New Religion”. Xix issues a clarion call to humanity to look itself in the mirror against a backdrop of staccato guitar riffs, warm vocal harmonies and a faint sprinkling of electronica. The album closes with another let’s-all-come-together type tune with a signature Xix twist in the lyrics. And passionate as his delivery is, the instrumental accompaniment remians soulful and sedate. Xix ushers himself out of “Machine”, and out of your stereo with wistful whistling, putting a melodious end to the musical see-sawing. If there’s one thing I have against this otherwise stellar debut, it’s the sequencing of the tracks. But having sworn off doing everything by himself on his next project, you can expect such small kinks to be ironed out on his next studio effort. RockRevolt™Magazine has proudly saved over 11,000 trees to date by publishing in digital format-SAVE THE PLANET-ROCK THE WORLD! LOUDER THAN LIFE FESTIVAL LINEUP ANNOUNCED!